The following remarks are from an address given at the Reform and Renewal Coalition Briefing Breakfast at the 2019 General Conference in St. Louis. Photo by Steve Beard. My dear brothers and sisters of The United Methodist Church from all around the world, I humbly greet you in the strong name of Jesus Christ! We thank God for all who have participated in observing a sacred season of fasting and prayer as we have prepared for this special General Conference session. And we praise God that there are thousands upon thousands still on bended knees interceding on our behalf as we make a defining decision regarding the future of The United Methodist Church. As I understand it, the purpose for which we have gathered this week, and the plans before us as delegates seek to find a lasting solution to the long debate over our church’s sexual ethics, its teachings on marriage, and it ordination standards. This debate and the numerous acts of defiance have brought the United Methodist Church to a crossroads, as it were in the days of the nation of Judah when they forsook the Lord. God challenged his people through the prophet Jeremiah to choose the ancient path and walk in it so that they might find rest for their souls (Jeremiah 6:16). Similarly, God is speaking to the People Called United Methodist to do likewise. While there may be several plans before us, I would like to speak to just two of them. One plan invites the people called United Methodists to take a road in opposition to the Bible and two thousand years of Christian teachings. I submit to you that, going down that road would divide the church. Those advocating for the One Church Plan would have us take that road. But I would like to call your attention to consider this other plan, the Modified Traditional Plan. 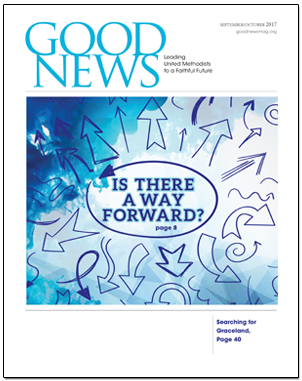 This plan invites us to reaffirm Christian teachings rooted in Scripture and the church’s rich traditions. Friends, please hear me, we Africans are not afraid of our sisters and brothers who identify as lesbian, gay, bisexual, transgendered, questioning, or queer. We love them and we hope the best for them. But we know of no compelling arguments for forsaking our church’s understanding of Scripture and the teachings of the church universal. And then please hear me when I say as graciously as I can: we Africans are not children in need of western enlightenment when it comes to the church’s sexual ethics. We do not need to hear a progressive U.S. bishop lecture us about our need to “grow up.” No! We stand with farmers in Zambia, tech workers in Nairobi, Sunday school teachers in Nigeria, biblical scholars in Liberia, pastors in the Congo, United Methodist Women in Cote d’Ivoire, and thousands of other United Methodists all across Africa who have heard no compelling reasons for changing our sexual ethics, our teachings on marriage, and our ordination standards! We stand together! We are grounded in God’s word and the gracious and clear teachings of our church. On that we will not yield! We will not take a road that leads us away from the truth! We will take the road that leads to the making of disciples of Jesus Christ for transformation of the world! I hope and pray, for your sake, that you will walk down this road with us. We would warmly welcome you as our traveling companions, but if you choose another road, we Africans cannot go with you. I am sorry, we cannot! I want to be united with my sisters and brothers in our global connection. I hope you want that as well. Let us all walk together in a church steeped in Scripture and the life transforming teachings of our church; because all scripture is God’s breath, and is useful for “teaching, rebuking, correcting and training in righteousness….” (2 Timothy 3:16-17). Many of us in Africa have developed deep and long-lasting friendships with our brothers and sisters in the U.S. Those relationships will not be severed if a gracious exit petition passes. But with all due respect, a fixation on money seems more of an American problem than an African one. We get by on far less than most Americans do; we know how to do it. I’m not so sure you do. So, if anyone is so naïve or condescending as to think we would sell our birth right in Jesus Christ for American dollars, then they simply do not know us. Because, we know how to live on much, how to live on little, and how to live on nothing. Amen! We are seriously joyful in following Jesus Christ and God’s holy word to us in the Bible. And in truth, we think many people in the U.S. and in parts of Europe could learn a great deal from us. The UM churches, pastors, and lay people who partner with us acknowledge as much. Please understand me when I say that the vast majority of African United Methodists will never, ever trade Jesus and the truth of the Bible for money. We will walk alone if necessary, and yet we are confident the ties of Christian fellowship we have with friends here in the U.S. will not be severed even if they too must walk apart from a church that would adopt the One Church Plan. We believe all local churches should be treated fairly and so we strongly support a gracious exit plan. Friends, not too long ago my country, Liberia was ravaged by a terrible civil war that claimed over 250,000 lives. And then we faced the outbreak of the Ebola virus that claimed thousands of lives. We are keenly familiar with hardship and sorrow, but Jesus has led us through every trial. So nothing that happens over the next few days will deter us from following Him, and Him alone. We shall persevere in the race before us, “looking unto Jesus, the Author and Perfecter” of our faith (Hebrews 2:2-3). We shall remain steadfast and faithful. And some day we shall wear the victor’s crown of glory with our King Jesus! Come walk with us! In the name of the Father, the Son, and the blessed Holy Spirit, Amen! 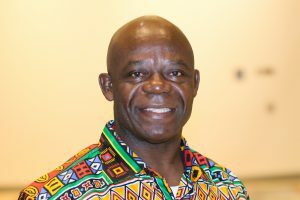 Jerry P. Kulah is the Dean of the Gbarnga School of Theology, United Methodist University, in Liberia. This is the fifth time or so I have read this transcript of Brother Kulah’s talk. Each time it elicits the same emotions — joy, respect, gratitude, and love for the truth and for the truth-teller. I shall gladly read it again and again each time it is put before me. ** …show me the hatred in these words? ** …show me, please, any evil you perceive in these words? ** …show me the “harm” or “hurtfulness”? ** …enlighten me please as to any unrighteousness you find herein? … because I simply cannot find any such. Amen, Brother Kulah. Yes and Amen! Thank you, Brother Kulah, for this message of compassion, mercy, love, restoration, & truth. We must lay down mean-spiritedness & hate towards God’s creations. Yet, to sin, we say no…while leaving none of us out of the sin equation. We ALL need God’s mercy & forgiveness.